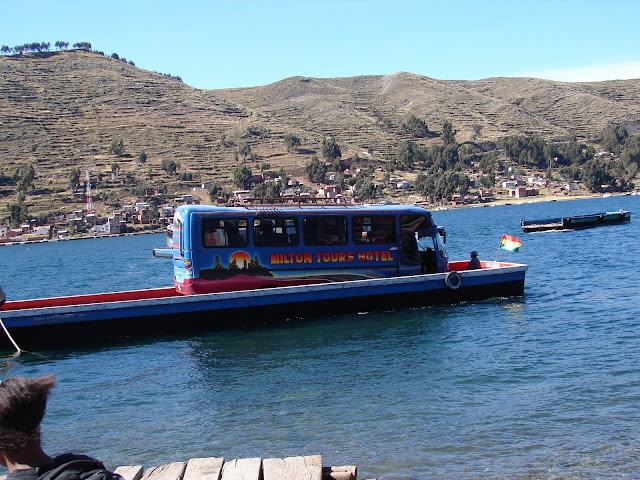 I caught the bus to La Paz, Bolivia. The bus ride was 3.5 hrs including the ferry ride. I checked into a hostel next to Downhill Madness, a company that takes people biking down the "Death Road". Rooms in hostel are still pretty cold at night. Tomorrow I bike down the Death Road.